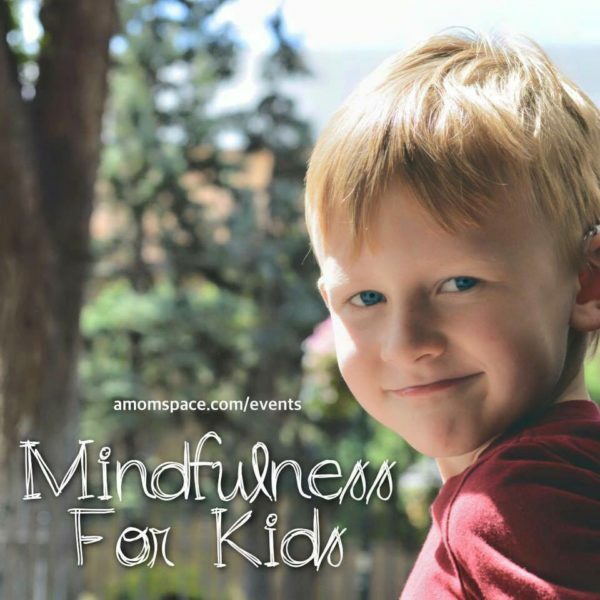 These classes focus on giving children the tools to learn to stay connected to their inner knowing, understand their personal space and help them connect to what is true and important for them – and let go of what isn’t! Presented in an age appropriate manner, we will use familiar everyday imagery in fun visualization and meditation exercises, play games, sing songs and create art! Kids will explore their personal space, their energy, their bodies and spirits! PLEASE NOTE: This class is drop off only; parents will not attend. A handout will be provided to take home for kids to practice! Pre-registration required! Space is limited and we fill up quickly, so please register early. Pre-register with the tickets link below.